Challenging convention. Maternal and child health. Nutrition. Technology at scale for healthcare. A few decades ago, a physician or a pathologist had to deal with a much smaller knowledge base than modern medicine today. As medical knowledge grew in size and complexity, we have seen the emergence of various specialities. And then naturally, superspecialists. 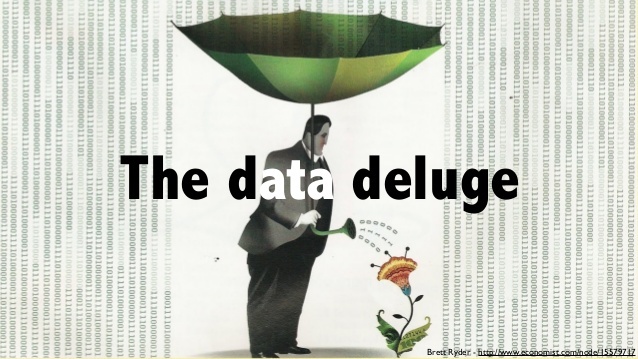 In the coming decade, we shall see an explosion of data. This is just round the corner in the biotech and medical world. It will not be possible for human specialists to deal with this deluge of data or to make sense of it beyond a point. It will become necessary for doctors and pathologists to work with AI machines which summarise and interpret this data for human specialists. It will not be possible for doctors to function effectively without extensive use of artificial intelligence frameworks that help the doctor to diagnose or to recommend a course of action. Here is an article that summarises the emerging situation well from a pathology viewpoint. Previous Previous post: Why must we be metal and silicon?